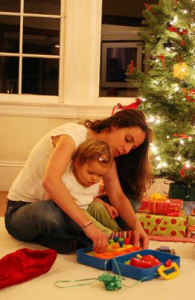 Christmas is an expensive time for everyone and when kiddies are involved the costs sore dramatically. Most children want everything they see on TV or their friends have which is a probably for the majority of us. This year try not breaking the bank and be sensible instead, as you don’t want to be paying for it for years to come. Under 5’s claim they want everything but in reality they will most probably only play with it for a few hours before getting bored and moving on to the next toy. Here we have a few money saving tips to try and help your bank balance over the Festive season. Under 5’s want anything and everything, my 3 year old watches the adverts on TV and wants literally everything shown, however unless money is no object and have a massive house to store all the toys, keeping up with their demands is impossible. 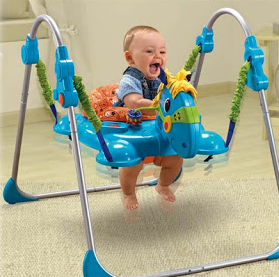 Do not feel you have to spend a fortune on your little one as they grow and change their favourites like the wind. So be wise this year and look at the bigger picture before you go shopping and spend money. Babies and toddlers don’t really understand Christmas apart from lots of wrapping paper to play with and loads of sparkly lights around so don’t worry about buying them much as most will be happy playing with the paper and the lights if given the chance. Have a word with family and instead of buying loads of toys you don’t really ask them to get certain presents for them. Clothes are ideal for this age group as well as practical items such as new cutlery, plates, bibs, books and puzzles etc. You could even ask for things for the garden for the summer such as ride-on’s, sand and water tables etc. You really don’t need to spend much on them at all as they won’t know any different. From about 3 years old one of their favourite phrases will be ‘I want that or I need that’ they are a lot more switched on to Father Christmas knowing he will give them presents but you can make this something the whole family gets involved with. Ask the little ones to make a list for Santa, you will get a more realistic list if you help them otherwise they will be asking for everything and anything! At the same time start explaining they might not get everything they’ve asked for, if you start this early on there is a hope they should start to understand by the time the 25th December arrives! Once the list is complete you can ask the family to help out, there are 2 ways to go about this. You can either ask them to buy the present and give it as their bundle from Santa or say Santa couldn’t get hold of the item and asked Nanny and granddad or Aunts and Uncles to get it instead. This way you are not burdening yourself with the overall cost and your little one is getting something they want. Set yourself a budget for each child otherwise you will spend and spend and spend! Have a look round on the internet for the best prices but take the postage into account as it won’t be a good deal if you have to pay a fortune for postage. A lot of stores like Mothercare and the superstores such as Tesco, Morrisons, ASDA etc have special offers during the run up to Christmas so buying early could save you a fortune. Why not have a look to see what second hand sites have such as Preloved and eBay as you can get some pretty decent stuff in good condition at a fraction of the cost brand new. Also check your local press for secondhand sales such as the NCT or similar. By looking around you are sure to find yourself a bargain and save you money. If you have kept all your older child’s toys from when they were babies and toddlers then why not wrap up some of the presents to give to your younger child? The siblings won’t have a clue and it’s a great way for the younger child to get presents without costing you a thing, well apart from the wrapping paper! You could even have a word with your friends who have similar ages children and look at swapping some toys with each other, that way both sets of children will get what they think are new toys. If you are filling a stocking look around at some of the independent cheaper stores that are popping up all over the place. You can pick up some silly little bits for about a £1 that your little ones will love. Also why not look at practical presents such as reading and colouring books along with crayons and pens. Kids love drawing and colouring in and you can pick these things up at next to nothing. Don’t forget the chocolate money and the obligatory orange or Satsuma! If your child is about to start or has just started school then why not ask for family and friends to get some practical stuff for them. Most schools use the phonics way of teaching them to read and write and there are loads of books on sale to help them with this. Personally I think these are perfect present for little ones as they are something they will get a lot of use from and help them develop. Christmas is a fun festive time and as well as an expensive time, be practical with your under 5yr old and remember they are only little and will have forgotten about Christmas come the end of January if not sooner. My last bit of advice on this is to enjoy the time together as a family and don’t feel you have to buy everything to prove how much you love them as they will love you just for being you! Great article John, perfect for the bad time we’re going through.